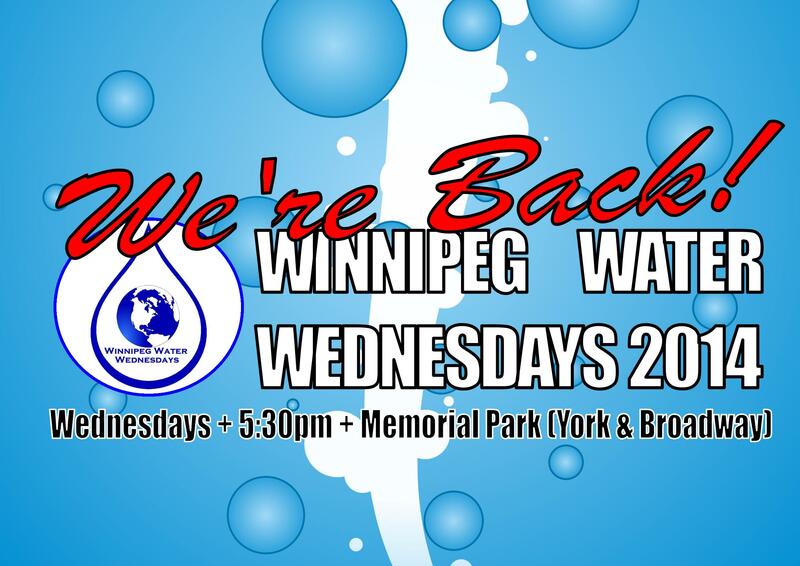 In the summer of 2013, when Idle No More called for actions to protect the land and Water, Winnipeggers responded with “Winnipeg Water Wednesdays”. After our successful 10 week long 2013 campaign finished, we are proud to debut Water Wednesday’s once again for 2014! We cannot do this alone. Our first Water Wednesday on June 11th, 2014 was a great success – and we kicked off our event with spirit, praying, playing with bubbles, singing, dancing and sharing ideas for future actions and activities. We are looking for TWO GROUPS EACH WEEK to help us mobilize their networks and the broader public in getting involved in local water issues. We have previously partnered with youth groups, radio stations, unions, business, bands, individuals and other water warriors to support one another in our mission to protect the water. If you are interested in partnering with Water Wednesday please do not hesitate to send an email to idlenomoremanitoba [at] gmail [dot] com, or simply show up!